Almost four decades after the Enterprise-E fought the Borg and Remans [see Nemesis], among others, the United Federation of Planets and other interstellar states in the Alpha Quadrant are slowly recovering from wars and ecological disasters. 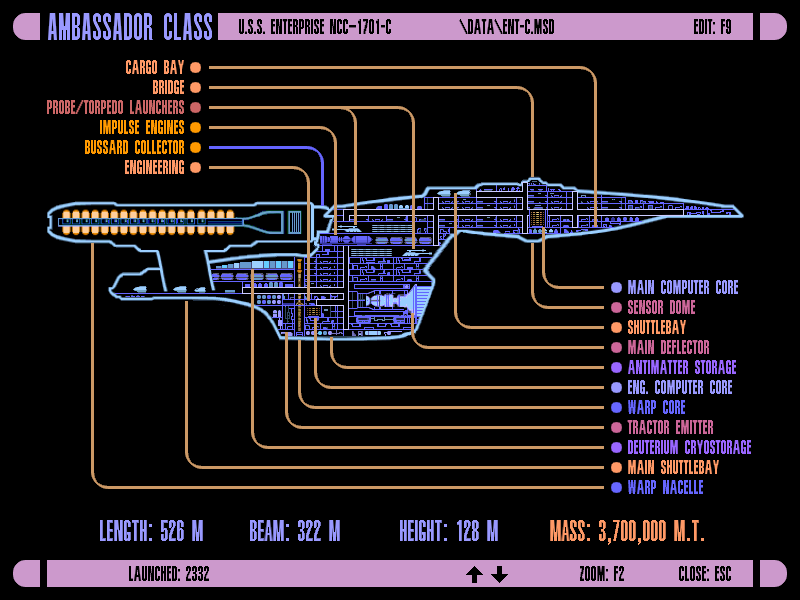 A refitted vessel takes a new crew on its first missions of defense, diplomacy, and exploration…. 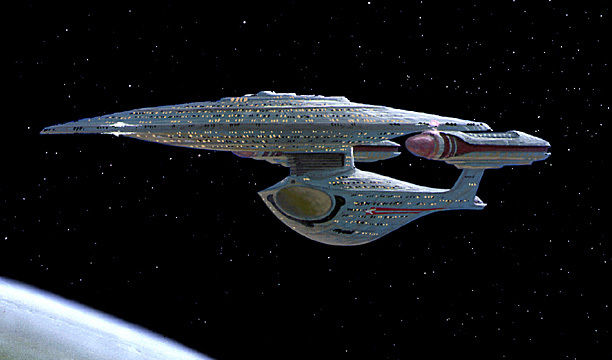 “Stardate 95248 (1 April 2418):” The U.S.S. Rotha, NCC 1993-C, a refitted Ambassador-class ship, picks up three passengers from the U.S.S. Tempest. Capt. Andelina Nobatu is ordered to take them into the Neutral Zone to be relayed to Qo’nos, the Klingon homeworld. Capt. Nobatu later convenes a meeting of her command crew, as well as supporting junior officers [the P.C.s]. The Terran human asks the science division to check for star systems and planets in case the ship needs to hide or resupply en route. They compare notes as Bolian bartender Mr. Vallcin brings drinks. Lt. Jarric Jameson asked Betazed communications head Lt. Artemis Borellis for permission to work with the engineers on a cloak or other countermeasures to Klingon and Romulan technology. Lt. Kyerak and security chief Pierre McDonough assigned guards to watch the guest quarters. 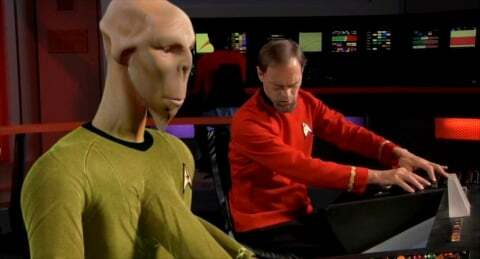 Lt. Orzzek Kalifa and Lt. Boran’ Gorir checked Starfleet records for solar systems between Earth and Qo’nos. 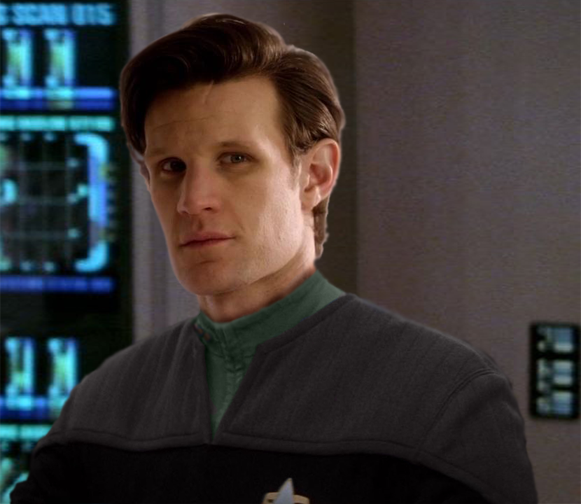 The scientist and engineer identify Acamar (Theta Eridani), which had been affected during a Borg incursion, and Khitomer, site of past negotiations between the U.F.P. and the Klingon Empire. Lt. Gorir and genetically enhanced Lt. Jameson also worked with chief engineer Lt.Cmdr. Akira Gorou to optimize the Rotha’s systems. 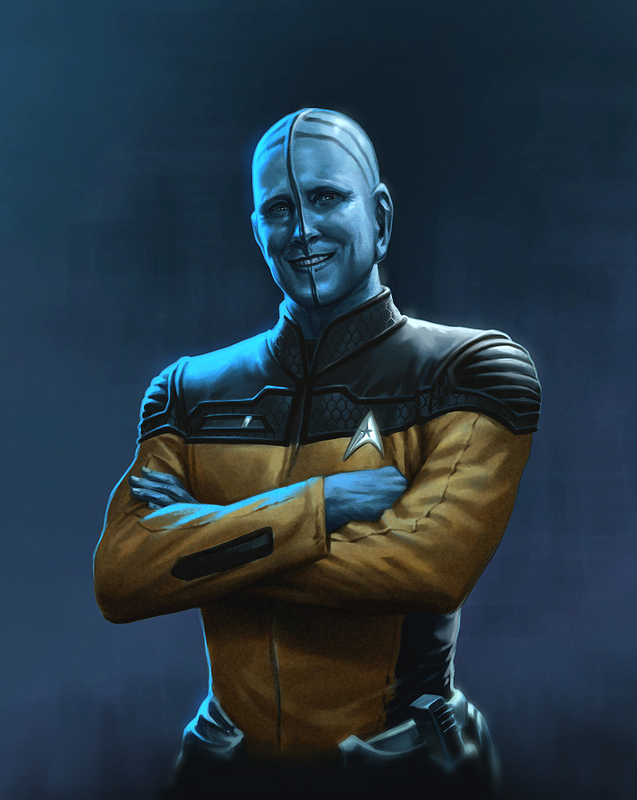 Dr. Jones, the holographic chief medical officer, prepared sickbay, and Trill first officer Cmdr. Nasami Wahid oversaw crew readiness. Chief McDonough assigned Lt. Mari Killu to work with other crew members to ensure that the passenger handoff goes smoothly. Lt. K’dex, the three-armed, three-legged Edosian science officer, scanned for possibly cloaked enemy craft. The junior officers’ discussion is cut short when Chief McDonnough contacts Lt. Killu to tell her to investigate the guest cabins. Apparently, the guards aren’t responding. Cmdr. Wahid orders Lt. Kyerak to accompany her. The Caitian and half-Vulcan find En. Thompson regaining consciousness. He tells them that the Orion, Gorn, and a hooded guest emerged from their quarters and refused to wait. En. Jonas ran after them. 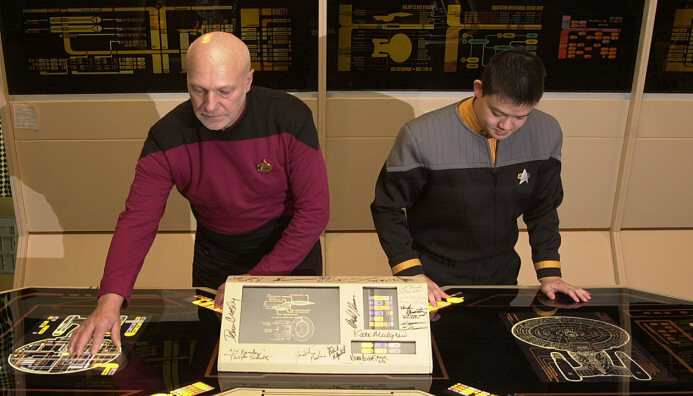 Lt. Kyerak and Lt. Killu draw their Type 2 phasers and ask the ship’s computer where the aliens have gone. It responds that they are on Holodeck 3. Instead of an Orion harem or a Gorn environment, the Starfleet personnel find a room full of humming machinery. D’naar, a green-skinned Orion trader, claims that he just wanted to demonstrate water-purification equipment he had learned about in his travels to “Hand of Giblets,” the reptilian Gorn representative of the Klingon Empire. En. Jones appears with a rumpled uniform. Kyerak subtly uses telepathy to communicate with Mari, who also senses that something is wrong. From the bridge, Lt. Kalifa and Lt. Gorir can tell that the gear in the holodeck has overridden security controls and is drawing extra power. 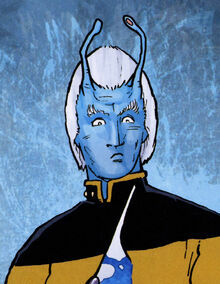 The Andorian and Jem’Hadar try to tell Kyerak, but their signals are jammed. Orzzek informs Capt. Nobatu of the situation, and Boran’ grabs his short sword and heads to the holodeck. Chief McDonnough and Lt. Jameson try to shut down the unauthorized energy drain, and they find that the ship’s shields are fluctuating in a patter, presumably to broadcast a signal. The captain orders a full stop. In Holodeck 3, Hands of Giblets [Byron/Non-Player Character] leaps toward Lt. Killu. D’naar [Josh/N.P.C.] disintegrates En. Thompson. En. Jonas hides among the machinery. Kyerak stuns the Orion pirate, and Mari shoots at the Gorn emissary. Lt. Gorir arrives, and he runs after En. Jones. Lt. Kalifa asks Lt. Borellis for help restoring communications. Lt. Kyerak eventually stuns Hands of Giblets, and Lt. Killu restrains the Orion and Gorn before going to aid Lt. Gorir. Other tactical and medical teams arrive and secure the perimeter. Boran’ recognizes some of the machinery and implements the LaForge Protocol. He and Orzzek manage to shut it down, but the signal has been sent as the Rotha entered the Neutral Zone. Mari shoots at En. 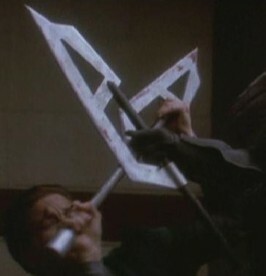 Jonas, destroying a personal holo-emitter and revealing that he is in fact an Undine (formerly known as Species 8472; the medical team later finds the actual ensign, who has been killed). The Undine hits Lt. Gorir again, and Lt. Kyerak and Lt. Killu shoot at it. Mari stuns the gray-skinned alien, and Boran’ beheads it. 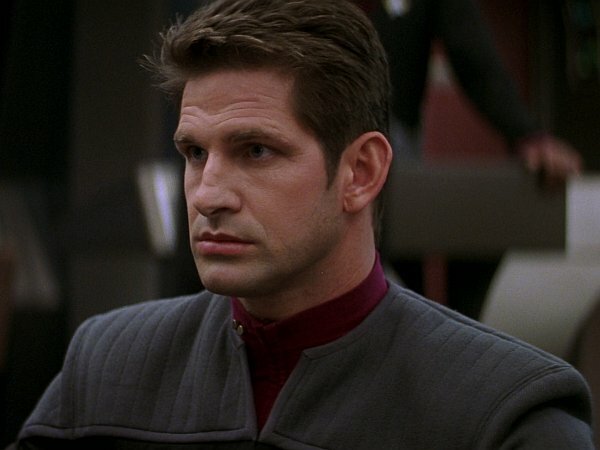 Kyerak berates the Jem’Hadar for giving in to his bloodlust, but Lt. Jameson notes that D’naar and Hands of Giblets are in custody and can still be questioned. From the bridge, helmsman En. Brandon Marks reports to Capt. 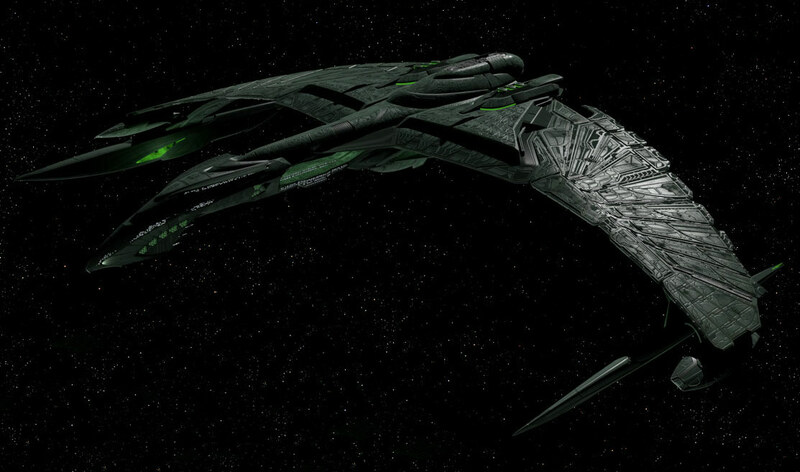 Nobatu that a Valdore-class Romulan warbird has just de-cloaked off the U.S.S. Rotha’s port bow…. Posted on March 25, 2014 by GeneD5Posted in Movies, Speculative Fiction, Television, VortexTagged D20, fate, rpg, sfrpg, star trek, Star Trek: Restoration, starblazer adventures, telecom team, update.